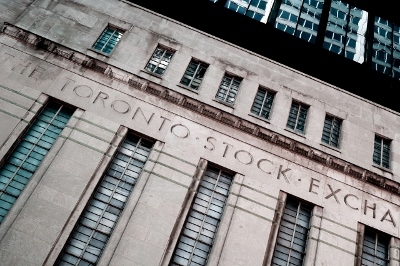 Healthcare and energy sectors dragged the main TSX index to its first lower finish in 5 sessions despite gains for commodities stocks. The declines were led by Valeant’s shares continuing their fall from grace and Suncor dipping on its share sale. Raw materials producers fared better. Wall Street’s indexes gained while the rest of the world’s markets were generally lower with Chinese trade data causing concern in Asia and Europe. Japan and the UK were the main gainers. General Motors could be about to create 1,000 new jobs in its Ontario plants. CBC News says that the firm appears set to make the announcement Friday. The jobs will include 300 engineering roles in Oshawa and a further 700 in a new software development centre in Markham. If the report proves to be accurate then it will bring the total number of GM employees in Canada to 10,000. The number of building permits issued dipped 0.8 per cent in April as a decline in intentions to build multi-family dwellings wiped out an increase for single-family homes. Statistics Canada’s data shows that Ontario, Quebec and Nova Scotia led the declines. Permits issued totalled $6.9 billion with the residential sector down 1.8 per cent to $4.3 billion while non-residential permits were up 2.5 per cent to $2.5 billion. Alberta led the gains for the non-residential sector. The Royal Bank of Canada has announced the expansion of its innovation lab network to Silicon Valley. The bank already has facilities in London, Florida, New York, Luxembourg and Toronto. The new facility will identify talent within the FinTech sector and across its facilities there is $100 million in seed funds to invest.